The Parish runs a wide variety of groups, including those for children, for adult exploration of faith, for fellowship and special activities. St Paul's Church is a fine Victorian Gothic building, built by the Vivian family in 1850. There is interesting stained glass, marble and mosaic decoration, and woodwork. Church hangings and vestments have been made by members and friends. 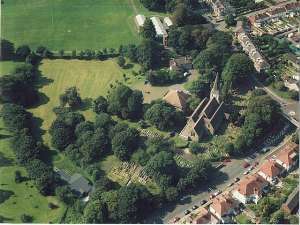 The churchyard offers an insight into local history, and with the adjoining field and Singleton Park is a wildlife habitat. St Paul's Church, Sketty, is a family church with a variety of styles of worship.